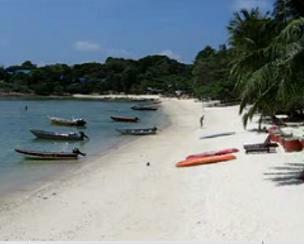 Kuala Terengganu is the capital of Terengganu which has a 244 km coastline facing the South China Sea. With a total population of about 1 million, oil that abounds off the coast are the main revenue of the state. 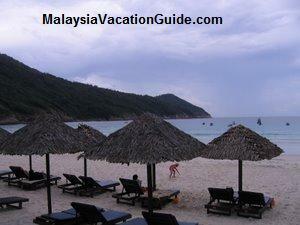 Most of the visitors drop by this capital city before going off to the islands of Redang, Perhentian and Lang Tengah. The busy central market. Quite difficult to find parking bays during the peak hours. Try parking a distance away from the market and walk there. Located by the Terengganu River and South China Sea, this modern city still retains the Malay culture where you are able to enjoy delicacy such as keropok lekor. 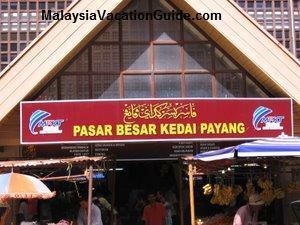 If you are looking for souvenir, this is a good place to purchase some local made goods songket and batik. As the majority of the population is Malay, take note that there is not much night life such as pubs or entertainment outlets. Liquors can only be purchased in some shops and international standard hotels. This city has many attractions that you can go to while you are here. Here are some of them.. The central market is known as Pasar Payang to the locals and is one of the biggest open air market in Kuala Terengganu. 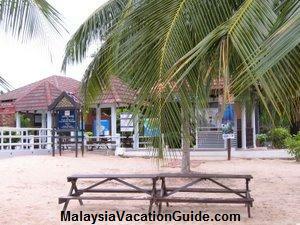 It is located by the Terengganu River and is one of the most popular tourist spots. There are many stores in this modern building. This is the place that you should go to get your souvenir, food or just to get a feel of the trading atmosphere in this city. Traditional handicrafts that you can purchase here include batik, songket, brassware and other goods from Thailand. If you have yet to try the Keropok Lekor elsewhere, try this local delicacy here. It is made from a mixture of fish paste and sago. 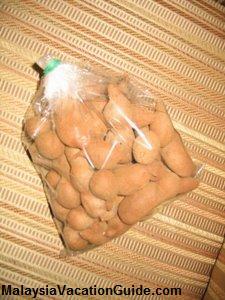 Fruits and vegetables are also sold here for your convenience. You can negotiate here but most of the prices are quite reasonable. Chinatown is located along Jalan Kampung Cina which is also known as Jalan Bandar. This is the place where you can find typical chinese food in Malaysia. Restaurants and coffee shops are located along this road. 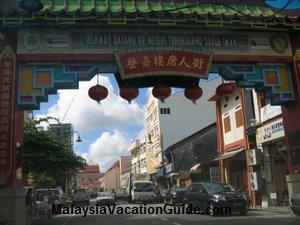 The entrance to Chinatown is decorated with a archway that you will not miss as you drive towards Jalan Bandar. If you are into Chinese food, have your lunch or dinner at Restoran Golden Dragon which is located near the arch. Beer is available here. The arch that greets you as you enter Chinatown. 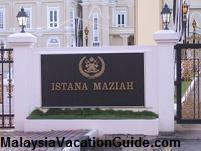 Istana Maziah is located near the central market and was built in the year 1897 to replace the Istana Hijau which was burnt down during World War II. 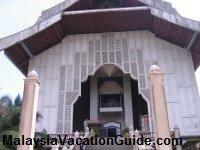 It is believed to have been constructed during the time of Sultan Zainal Abidin III, the ruler of Terengganu. This palace is not open to the public and is used only for some special royal ceremonies and state receptions. 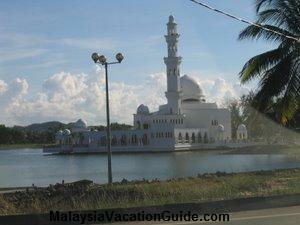 This mosque is located about 4.5 km away from the Kuala Terengganu city. This unique mosque is surrounded by water and is seen as floating on water hence also known as "Floating Mosque". 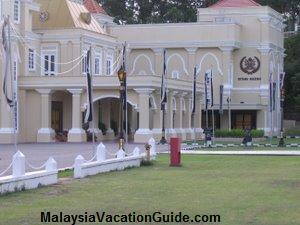 If you are into history, head for Terengganu State Museum which is the biggest museum in Malaysia. 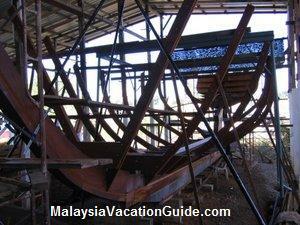 It has 4 main blocks of exhibits, a Maritime Museum, five traditional houses, two huge boats by the Terengganu River with beautiful landscaping that makes your visit here worthwhile. It is located 6 km away from the city centre. 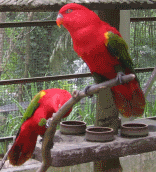 The Tourism Office is where you should drop by for more information. 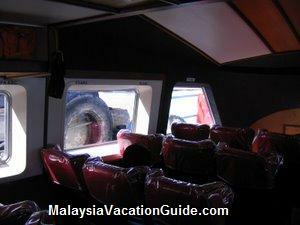 It is located opposite the Shahbandar Jetty and is within walking distance from Pasar Payang. 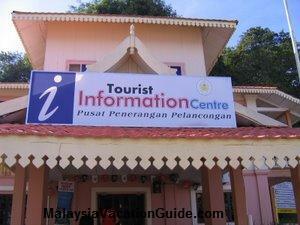 The Kuala Terengganu tourism office. If you are coming from Kuantan and like Chinese food, drop by the town of Chukai in Kemaman and taste the specialty stuffed crab at one of the Chinese restaurants here. 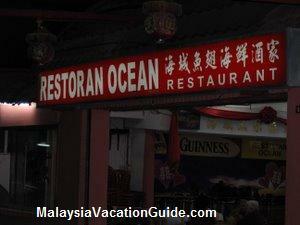 While in Kuala Terengganu, you may want to try some Chinese food by the beach at Tian Kee or Ocean Restaurants.